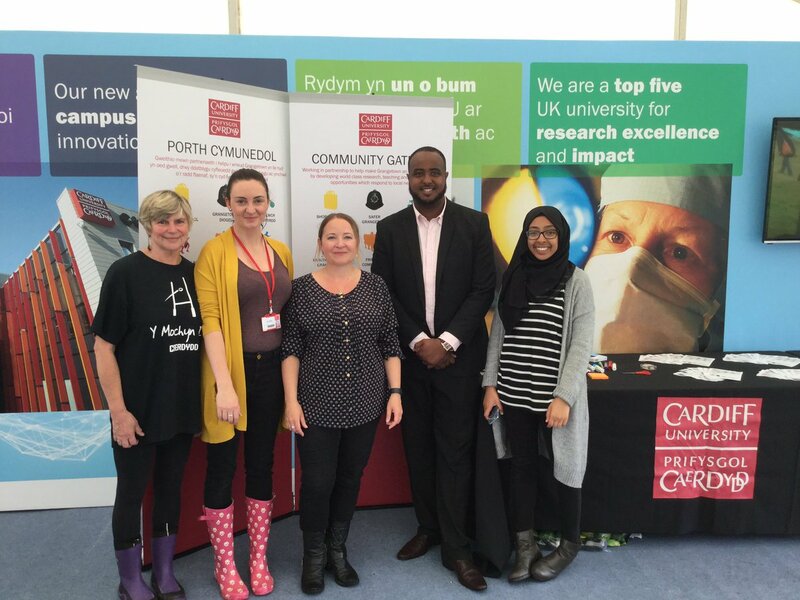 We had a great time at The National Eisteddfod of Wales, we were in the Cardiff University tent showcasing our Community Gateway project in Grangetown with volunteers and helpers including Welsh speaking local resident and Cardiff University Graduate Sara Yassiene. The theme for our session was indoor bowling, which stemmed from our involvement in transforming an old bowls pavilion in Grangetown into a community space. 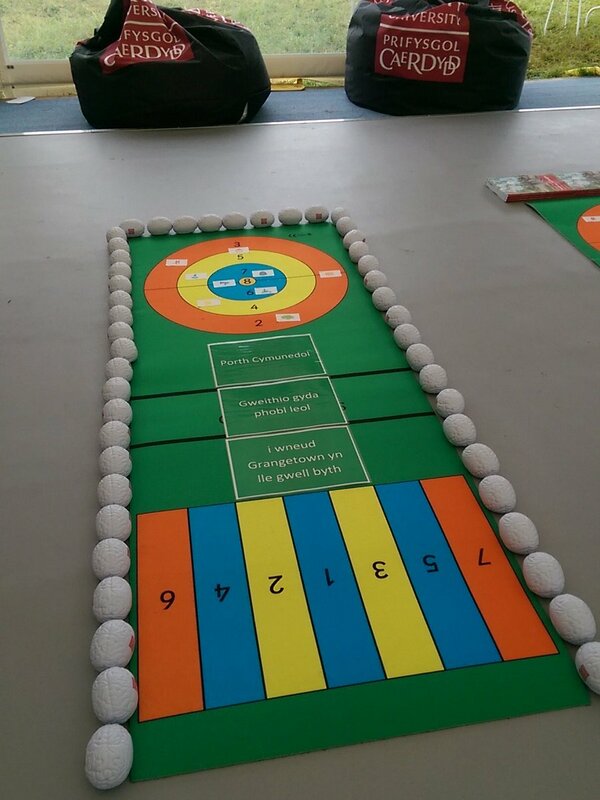 We had two indoor bowls sets available and stickers featuring the nine themes of the Community Gateway project featured on the game. The idea was that when someone’s bowl landed on a picture of one of the themes, we told them about the projects running under that theme and the wider Community Gateway project around it. During the couple of hours we were there we had around 35 visitors and we gave out lots of handouts. People really enjoyed playing bowls, especially the children who we given sweets for their participation. 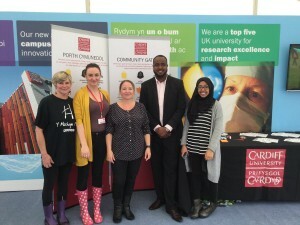 Many people were fascinated to learn how Cardiff University and the community are working together in Grangetown. There were some visitors who had no idea where Grangetown was or what it’s like, so it was really useful to have Sara Yassiene interact with them in Welsh on her experiences of living in Grangetown and explain how diverse it is and whats its like living and growing up there. We had a lot of fun despite the weather being really bad in the morning and visitor numbers being slow but by the time it got to midday it improved and as the sun came out we had more visitors to our tent. A great day had by all!